Wildfires are growing larger and more powerful due to dry conditions and dense forests. There are ongoing debates of the best methods to reduce wildfire intensity and management. Many agree that a combination of prescribed burns and forest thinning can help better manage wildfires, but these methods need to be regularly implemented on a larger scale. To learn more about the forest and fire management, I attended FIT (Forest Institute for Teachers), a week-long, hands-on, workshop for educators on how humans and wildlife interact with the forest and how we can support and maintain a healthy forest ecosystem. (I highly recommend purchasing "The Laws Field Guide to the Sierra Nevada"
At FIT, California educators heard from public and private forest specialists about current forestry issues, how different forest groups work together, participated in hands-on activities, and designed lesson plans to take back to the classroom. It was fascinating to learn about the role of fire in nature and how we play an active role in shaping landscapes. The theme for FIT this year was water, so we met different water conservation stakeholders, including the Tuolumne Utilities District. One requirements of attending FIT is to design and implement a unit with the provided resources from Project Learning Tree (environmental education curriculum), Project Wet (water education), or any other relevant information shared in the workshops. The amount and depth of information covered at FIT was amazing. There are so many ways that educators could integrate these topics into the curriculum. I had a few ideas I wanted to share that I will be using in a STEM Social Studies classroom. This great article, Efforts to Reduce Wildfire Risk Fall Short, Buck Science, by Tony Schick and Jes Burns is a powerful overview of the current state of wildfire management and presents many viewpoints of the issue. I love that this article also explains why this story matters, how the authors know what they know, the evidence, and how you can get involved. I am planning on using this article as a introduction to analyzing different perspectives of an environmental issue and how this information can lead to action. For my FIT project, I plan on integrating a Project Learning Tree lesson (Trees for Many Reasons) into my 7th grade unit on early globalization and the Silk Road. This unit highlights the lasting impact of globalization and how technological advances may not benefit all groups equally. We will discuss the impacts of globalization through analyzing a life cycle of a pencil and the pathways of natural resources that go into a finished pencil (I’m using this kit). The final deliverable of this unit is the creation of a Tour Builder that traces the life cycle of an personal item of choice. Some other ideas I have include analyzing the growth of the Wildland Urban Interface and its impact on firefighting and safety. As housing prices increase, people living in the West are settling into wilderness areas, called the Wildland Urban Interface (WUI) . Who is responsible for keeping communities safe from potential fire threats? How can we prevent people from settling in fire-prone areas? Another idea is to use Earthwise Media, an app that uses satellite images to tell stories, to help students create infographics, posters, or flyers about environmental issues around the world. I highly recommend attending FIT. I have a new appreciation for the forest, the people who use it commercially and recreationally, and importance of keeping it healthy. If FIT doesn’t sound appealing, check out these professional development opportunities that specialize in other areas such as agriculture, floodplain ecology, and wilderness conservation and management. Real? Did it actually happen? Simple? Is it easy to understand and follow? Emotional? Does the audience connect with your story? Truthful? Does this story connect to the human condition? Valid? How sincere is the story? I recently finished four digital storytelling modules that were instrumental in increasing my students' ownership of learning and overall engagement. I wanted to share different ways to tell stories using technology and how it can be a creative outlet for any subject area. Before I begin any kind of storytelling unit, I show my students the TED-ED video, What Makes a Hero? and review or discuss the storytelling presentation and story spine. The TED-ED video is a great ice-breaker and background for Hero's Journey. Photojournalism is one of the most simplest forms of storytelling because it uses images to tell a story. A famous project that uses photos to tell stories is Humans of New York. The aim of Humans of New York is to combine photos and interviews of random people from the streets of New York. It has grown into a popular blog, social media campaign, and book series. I love this idea of connecting with others through storytelling and wanted to bring this project to our school. My students became more familiar with Humans of New York by analyzing selected photos from the website. We discussed elements of what makes a compelling story, in order for students to begin their own version of the project, the Humans of AdVENTURE edition. Because we are a 5th-8th grade program and in order to build more community, I paired our 5th graders with 8th graders. After students interviewed each other, took photos, and captioned images,the final products were on an "Humans of AdVENTURE" Edmodo page to share with others in our program. Blending photos together is another great way to tell a story. 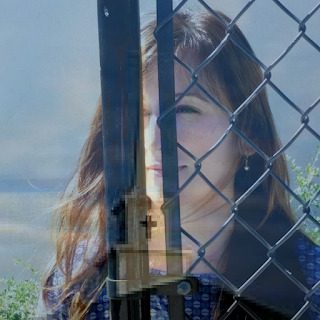 Photo blending is when you superimpose or merge multiple photos together to form different layers. This type of photojournalism and can be easily integrated into projects. For example, an amazing engineering elective teacher at my school, Mariana Garcia, runs a Global Goals for Sustainable Development project where students raise awareness and develop a product to help solve global goals. 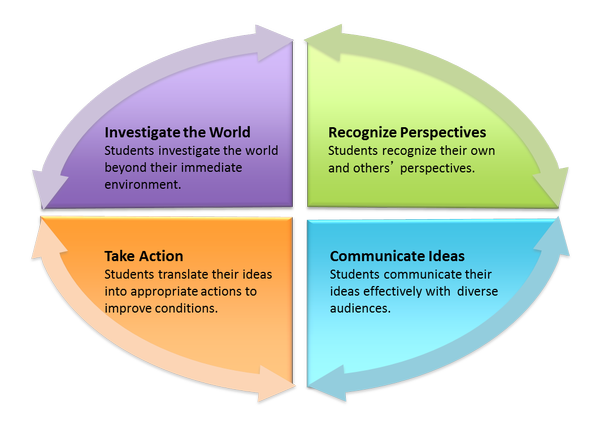 To synthesize learning and spread awareness, students developed a blended image about their ideas. There a variety of smartphone apps for photo blending that are free. Two apps I like are Photo Blend for Android and Photo Blender for iOS. If students do not access to smartphone apps, they can use Google Draw to merge two photos together. For more photojournalism ideas and resources, the Pulitzer Center has lesson plans and does educational outreach. I have had two photojournalists from the Pulitzer Center come and speak to my class about their work. Documentaries are great ways for students to express their voice. In my experience, students enjoy making videos but struggle with making videos that captivate an audience. By providing students with a clear story structure and descriptions of shot types, camera movement, lighting, etc., students can improve video quality and audience engagement. In my classroom, I wanted to focus on the three phases of video production, general tips on how to make videos, and how to tell a story using video. In our project, students created a partner bio video with a peer from another grade level (I had 6th and 8th graders pair up). My goals were for students to practice the three phases of video creation (pre-production, production, and post-production) and include a variety of shots to ultimately create more professional looking videos. After reviewing elements of storytelling and Hero's Journey, we analyzed different types of short films. I love sharing videos from One Minute Films (some good ones are Wildebeest and Candy Crime) to show students that telling a story doesn't have to be complicated. To practice, challenge students to come with a story in six words. To bring in STEM, have students tell the story of a famous scientist, engineer, inventor, or mathematician in a sixty second video clip. First, conduct research to trace hero's journey of the subject and use a story spine to chart journey. Next, download multiple large images to help illustrate journey. Finally, write the story of hero and record as audio of story in mp3 (add audio files such as instrumental music to enhance video). KQED Teach has several multi-media online professional development courses for educators that I have used to support my digital storytelling units. Conscious Youth Media Crew (CYMC) is a Bay Area, multimedia training program for youth that focuses on developing a voice through filmmaking and has a great collection of youth-created videos that can used as examples or ideas for projects. Graphic novels are sequential art using words and pictures and are basically the same as comic books. Graphic novels are great to use in the classroom because they help scaffold text with images and improve literacy skills by reinforcing sequence, helping students feel like they can comprehend story beyond their reading level. A few examples of comics that show students how to combine dialogue and characters in a simple way (using coins, dots, etc.) are Money Talks and Longshot Comics. To practice, have students use panels (squares where stories take place) to separate action. Panels can be read left to right or top to bottom, as long as it is clear to reader. Then, add word balloons for dialogue. The shape of word balloons can convey emotions. In addition to word balloons, you can add narration using captions to illustrate other parts of the story. Similar to documentaries, graphic novels contain a variety of shot types to establish where things are and provide more focus to certain elements of the story. I have had students identify their own strengths (superpowers) and create a graphic novel telling the story of their hero's journey. There are some helpful paper templates and online storyboard creators that I use to get students started. Animation is simulating the movement of images using a series of pictures or frames. There are many different types of animation you can create with or without tech. I use flipbooks (using sticky note pads) to show students how to make basic animations. My students and I have used multi-plane stop-motion animation to create short videos, but it does require some equipment (iPads or smartphones, multiple panes of plexiglass, etc.) that may not be easily available. The cameras you can use to create animation can be iPads or smartphones but in my experience, the iPads produce better quality shots. The multi-plane stop motion set-up (like the one in the photo above) can be used in combination with free apps, Stop Motion Studio or Lego Movie Maker. I would recommend that while you are making background scenes and props to use for the multi-plane set-up, see what they look like on camera. Many times, props can be too large and need to be recreated to fit into the scene. The student-created video below was made using a multi-plane set-up and a smartphone in my engineering elective class. This project asked students to choose an existing technology and imagine a way to innovate the technology to make it better. Teams created short animations about the history of their chosen technology and how they plan to make it better. To bring in other subjects, have students choose a STEM related NewsELA article, develop a simple storyline, then create an animation about the innovation. A great article I have used is "Startup gives city taste of robotic delivery," about robots that deliver food in San Francisco. A few other ways to create animations (without the multi-plane setup) are stop motion with Google Slides or Animaker, a Chrome extension. If you live in the Bay Area, the Walt Disney Museum has great animation workshops, multiplane resources, classroom outreach, and field trips for educators and adults that want to learn more about storytelling. The best part of digital storytelling is how adaptable and flexible it can be for any subject or grade level. As a middle school social studies teacher in a STEM program, I am always searching for resources, ideas, networks, and opportunities to help me become a better educator. I love teaching history/social studies but often feel like it is misunderstood--especially outside of the education world--as a subject that focuses on facts, dates, and boring content. In fact, social studies education is a dynamic, globally-centered, inquiry-based, interdisciplinary subject area that is just as important as math and science. In recent years. I have added global competencies and the social justice framework into my ever-changing social studies curriculum. The challenge to integrating these concepts is meaningful professional development and training that would help me fully understand the scope of what this looks like in the classroom. I found a great opportunity, Teachers for Global Classrooms (TGC), that helped me understand the value of global education, strategies for implementation, and provided a variety of cross-cultural opportunities to help me become a better teacher. The TGC fellowship is a yearlong professional development opportunity that contains three parts: an intensive graduate level course that focuses on global education implementation, a 2-day global symposium held in Washington D.C., and an international field experience. It is a rigorous and competitive program for U.S. educators that have been teachers for over 5 years. I was accepted into the fellowship in the fall of 2016 and traveled to the Philippines for three weeks in June/July of 2017. Even if you are not interested in applying or get accepted into the program, these resources I created for the fellowship) can help other educators implement global competencies into schools. The final activity of the TGC fellowship is the creation of a capstone project (a resource for my school's community on global education). 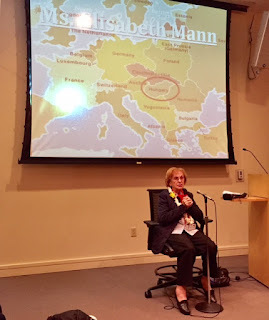 I created a website around the importance of global education and included, tools to help assess global competence, resources and lesson plans to implement global education, other teacher travel opportunities, and travel blog from my international field experience. There are many other resources on the website so I encourage you to check it out! Last year, I heard about SXSWedu for the first time. As soon I learned more I knew I had to find a way to get there. I applied for a NEA Learning & Leadership grant in the spring and received confirmation I was selected in the fall. I was excited because I have always heard that SXSW is an amazing experience and knew SXSWedu was an extension of that. SXSWedu is a great networking event and has amazing professional development opportunities throughout the four day conference. Also, I was stoked about visiting Austin--a city I have wanted to visit for a long time! I've been to big conferences before but this was by far the largest event I've ever attended. The program guide was over 150 pages long! Many times I was overwhelmed by choosing a session to attend and knowing I only could be physically present at one. There were several themes that stood out to me at the conference: understanding and confronting bias in the classroom, the importance of authentic cross-cultural collaboration and listening to diverse perspectives, and the art of personal narratives (i.e. storytelling). The opening keynote from Chris Emdin, author of "For White Folks Who Teach in the Hood...And the Rest of Ya'll Too," was inspiring, relevant, and honest. Emdin provides insight on how to improve urban schools, the absence of diverse perspectives in teaching and learning, and ideas on how to address these issues. I highly recommend watching it. I attended the session, "Tools to Combat Bias in the Classroom," hosted by the Anti-Defamation League. This session explored the connection between personal identity and bias, presented ideas to encourage personal reflection, and how to use anti-bias tools to build empathy and understanding. First, we completed an introductory activity to encourage personal reflection and discussion. 1. If I had to describe myself in four words, I would say I am _______. 2. One experience that I have had that helped me to form this description of myself was:_____. 3. One things about being a ___that makes me feel good or proud is _____. 4. One thing about being a _____that is sometimes difficult or embarrassing is: ___________. A simple idea to celebrate the introductory activity is holding a informal diversity assembly where students stand up when their word is called and clap for each other. Another activity to promote discussion is instructing students to "choose a side." The leader calls out a comparison (competition vs. cooperation, respect for self vs. respect for others, group oriented vs. individualistic, risk takers vs. play it safe, etc.) and students choose a side. As the activity progresses, students may identify with both sides but are required to choose just one. The leader asks each side what they think of the other and one question they have for the other side to deepen conversation and facilitate dialogue. The Zero Indifference Guide is a helpful resource for school communities to combat name-calling or bullying. Building relationships between students is an important component to develop cross-cultural understanding locally and globally. There are more ways to connect students around the world than ever before and this type of collaboration is called virtual exchanges. There are several organizations that promote virtual exchanges. iEARN ($100/ per year) is an interactive, curriculum-based network that connects classrooms all around the world and provides an infrastructure for students to connect with each other. Classroom Bridges (free) is another great resource, however, it only connects you with other teachers and you have to create a platform for students to connect. Once classrooms are connected, a great introduction activity is 'My Name'. Students can introduce themselves and get to know each other through discussing the significance of their name. If you want to learn more about some example virtual exchange projects and explore more resources, this padlet is a good start. Global Collaboration Day happens each fall and is a great excuse to connect with classrooms and schools around the world. There are also all kinds of resources on the website about virtual exchange including videos, projects, and tools. Somewhere in during the conference I heard storytelling described "as a end result, but education is happening through the process." I believe that creating personal narratives can be a creative outlet and engage all students. Also, building narratives can be done in a variety of different ways--from podcasting to vlogging. I attended a great session on how podcasts lead to deeper learning through improving listening skills, building empathy, and supporting all learners. I learned that 60%-90% of our time is spent listening but only 10% of the population listens effectively. Listening is such an important skill that we assume many students know how to do but we devote little class time to improve or practice these skills. There are several tools students can use to create original podcasts: Audacity (downloadable), Soundtrap (web-based), and Hindenburg (advanced audio editor). Recommended podcasts that can be used in the classroom: The Moth and This American Life. One of the session leaders is a teacher, Mike Godsey, with a great website that contains podcasting resources and tips. Be sure audio it is clear, clean, creative, additive (has a purpose). Music is a editorial element. It can build tension, develop emotion, and deliver impact. In the Serial podcast, Sarah speaks in short paragraphs and grabs attention through music. Music is used for beginning and ending transitions. However, be careful. Journalists should use elements and words that allow people to come to their own conclusions. Ask open-ended questions to get honest answers. There are a dozen other reasons to head out to Austin if you don't make it to SXSWedu next year, breweries, Zilker Park, barbeque, ice cream.....the list goes on. Your World, hosted by the Museum of Tolerance in Los Angeles. (Note: The Museum of Tolerance hosts free professional development workshops for California educators, I highly recommend checking it out!) This course made me realize how much I was NOT teaching and helped me understand through exploring how we are connected--we develop empathy. I believe developing empathy is fundamental to true understanding and making change. I read a great article from Teaching Tolerance, Don’t Say Nothing, that explores how teachers need to challenge their beliefs we have and that we (teachers) have a position to influence our students. Because of this, it is critical that we confront our biases through constant reflection so we can learn from students and connect with each other. 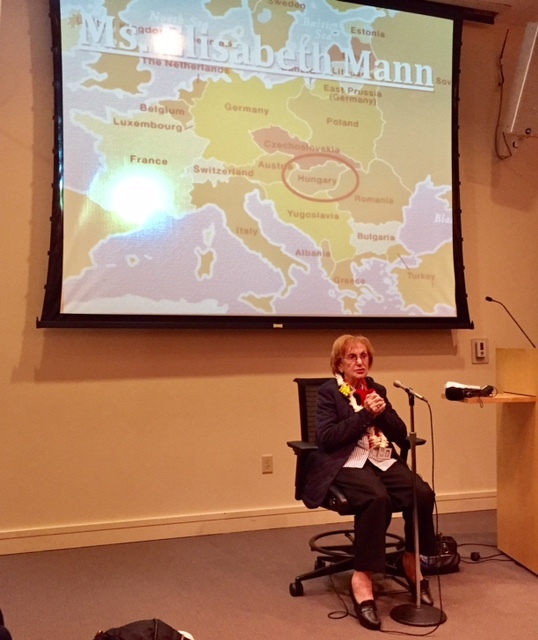 During the two-day workshop, we were able to take a guided tour of the museum, listen to Ms. Elisabeth Mann's speak on surviving the Holocaust, meet Creative Visions founder Kathy Eldon, and watch Salam Neighbor, an award-winning film about Syrian refugees. In between each workshop session, we had time to explore the Rock Your World curriculum and various resources on universal human rights and youth activism. There were so many resources shared with us over the two days that it almost felt too overwhelming-- until I found how out I could integrate many of these ideas into the Social Justice Standards (SJS) framework, created by Teaching Tolerance. The SJS consists of four main domains: Identity, Diversity, Justice, and Action. Each of these domains has specific standards, student-friendly grade-level outcomes, and scenarios. I created a resources/idea matrix (below) that organized the workshop resources into four domains and demonstrated the progression of deeper understandings related to universal human rights and personal connections. The matrix below displays some ideas on integrating human rights topics in other subject areas. How do we support people to support themselves? What is a youth activist? Do you have a successful middle school project or lesson that integrates universal human rights or youth activism? If so, please share with me!